Accommodation next to the slopes! Enter the ski area on the doorstep! We offer direct access to the Hinterstoder ski area with its varied slopes and cutting-edge ski lifts. Staying next to the ski runs means, you wake up at the heart of the Hinterstoder ski area. When leaving the house in the morning, you can immediately get onto your skis - and off you go! Ski runs range from demanding, "black" labeled mogul runs to carving slopes, a snowboard park, a beginners' hill and the Kiddy Ski Land. Hinterstoder has played host to a number of World Cup ski races and has therefore gained an international reputation. Ski passes are easily affordable for families, too - and food in the mountain restaurants and lodges is also offered at reasonable rates. Snow security, plenty of snow thanks to snow-making facilities and many, many kms of well-groomed pistes. 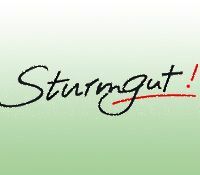 Ski holidays directly at the ski piste at Berghof Sturmgut. South-facing pistes, snow security, 45km of pistes at an altitude of 600m - 2,000m. The main run from the top to the base station is 7km. Thanks to our location North of the Alps we are truly spoilt in terms of snow. Snow making facilities help to conserve the natural snow. Nose grabs, 360´s, 540´s, Indi-Airs, Rodeos, Tail-Crabs, everything is possible. Rails (Rainbow, Kinked, Straight) for street styling. Freestyle tool park with T-bar lift.